Benghazi (Libya) (AFP) - Forces loyal to Libyan strongman Khalifa Haftar said Saturday they had been targeted by an air strike, as fresh fighting flared south of Tripoli. "We strongly condemn the air raid... in the Al-Aziziya region" by a plane, which had taken off from western Misrata, said the media office of Haftar's self-styled Libyan National Army (LNA). Forces in Misrata are mostly loyal to Libya's internationally-recognised Government of National Accord (GNA), which has been battling Haftar for control of the war-torn north African country. Pro-government forces in the capital Tripoli confirmed they had targeted Haftar's men with "intensive strikes". Haftar's forces are battling for control of an area some 30 kilometres (18 miles) south of the capital near Tripoli's international airport, which was destroyed in 2014. On Friday they were pushed back from a key checkpoint west of the capital, less than 24 hours after seizing it during a lightning offensive towards Tripoli. "The time has come" to take Tripoli, he said in an audio message, pledging to spare civilians and "state institutions". 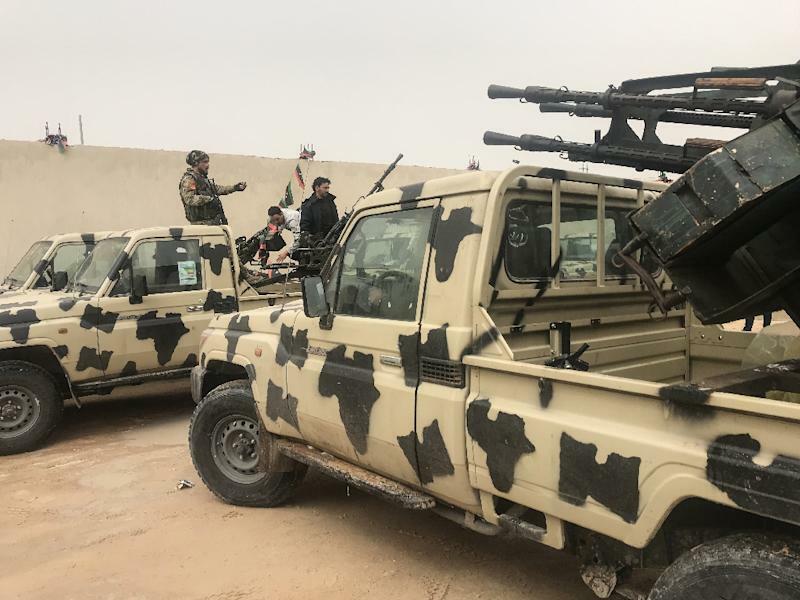 Dozens of militia have proliferated in Libya since the NATO-backed 2011 overthrow of dictator Moamer Kadhafi and are variously aligned with either the unity government or the rival administration in the east backed by Haftar. Despite the flare-up, UN envoy Ghassan Salame insisted Saturday that talks planned to be held next week in Libya would go ahead. Since the toppling of dictator Kadhafi, Libya has been divided between an array of armed groups. And the internationally-recognised unity government, born out of UN-backed talks, has struggled to assert its control.